While you soak up the rays in your teeny bikini this summer, spare a thought for the bathing suit pioneers of the early 1900s. 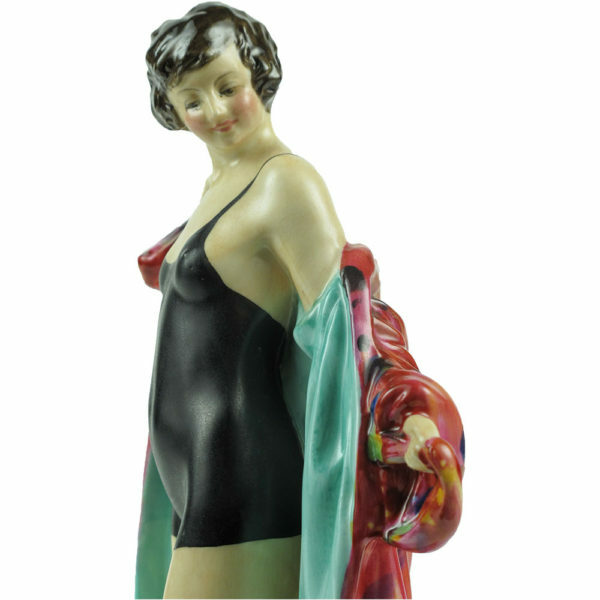 Annette Kellermann, the Australian swimmer and movie star, advocated one-piece fitted bathing suits for women. 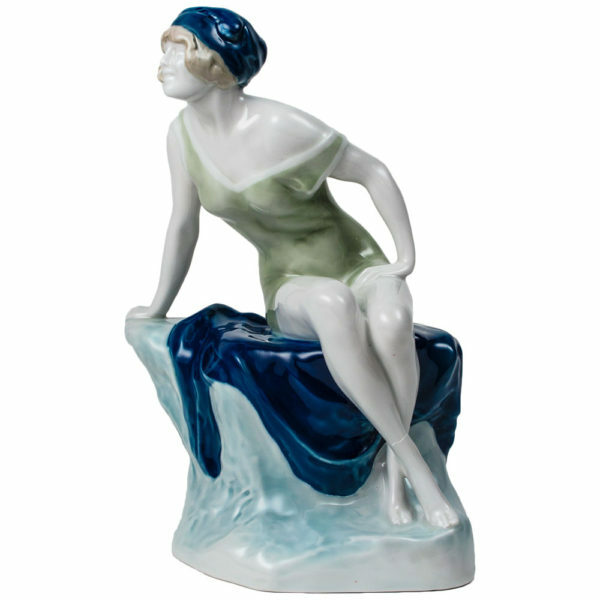 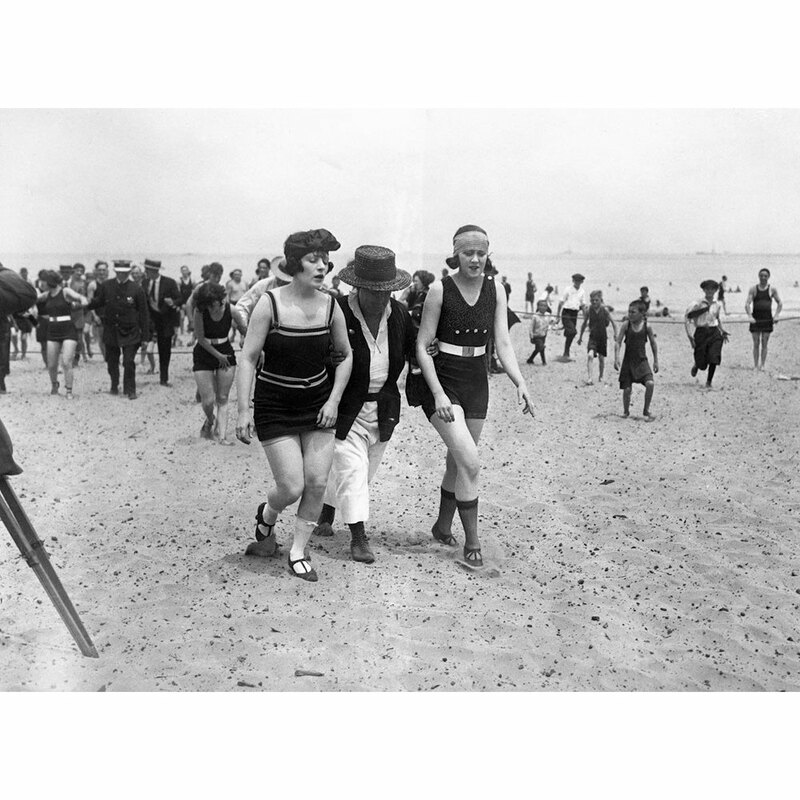 In 1907, at the height of her popularity, she was arrested for indecency on Revere Beach, MA . 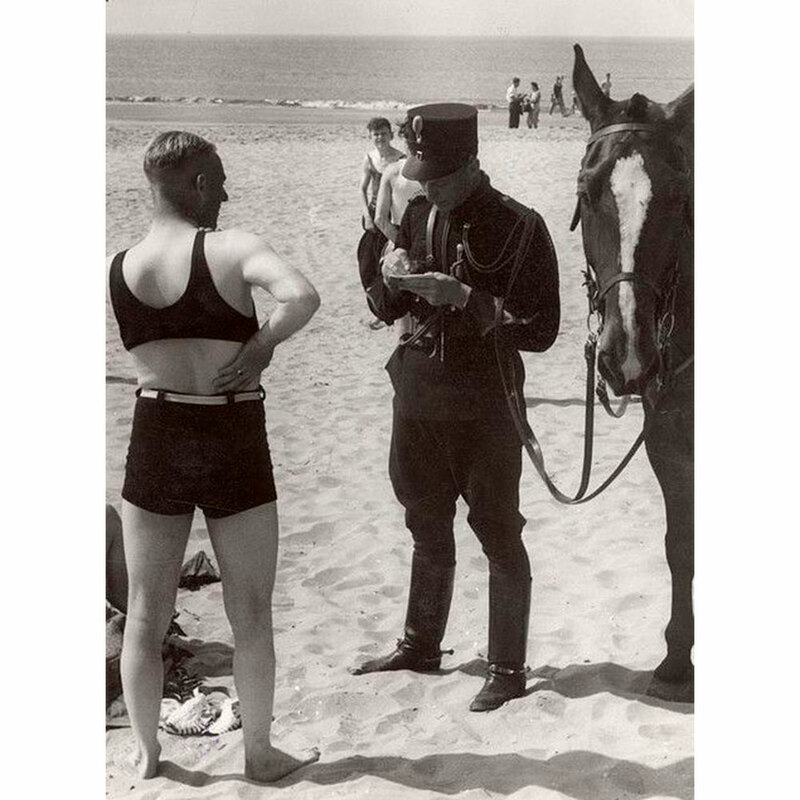 In the 1920s and 30s, many young women and men had to battle with the decency police who roamed the beaches with measuring sticks to ensure modest costumes and arrested those who flaunted the rules.